For the first time Skype is offering its own mobile client to make phone calls over its popular VoIP (voice over Internet protocol) service. The Skype client is an open beta (available here) and is expected to work with about 50 handsets from Nokia, Motorola, Samsung, and Sony Ericsson. Other phones may work if they support Java, the language the client is based on. It will not work on the iPhone. “This product is part of our goal to be on as many platforms as possible,” said Wilhelm Lundborg, product manager for Skype Business (via InfoWorld). All features — chat, group chat, presence, SkypeIn, Skype-to-Skype and SkypeOut calls — work in the U.K., Brazil, Sweden, Denmark, Finland, Poland, and Estonia. Elsewhere, the data features and incoming Skype calls work, but the client does not allow outbound calls. The client allows you to connect a cellphone to your Skype account. It uses cellphone minutes, but adds all your Skype contacts and gives you a mobile presence. 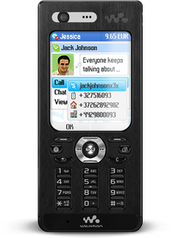 A “Skypephone” has been available by the U.K. carrier 3 since November. They’ve had a WinMo PPC client for awhile now. I haven’t used it in ages, and back when I did you needed a headset or had to use it as a speakerphone. I assume that’s been resolved? This new one looks promising, but there are so many device customizations probably needed to make it work for outbound calls… Which is why I’d want it. For now, I’ve got Fring running on my iPhone (which does Skype and others).